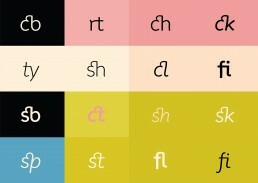 In 2006, Tipometar launched a project called ‘Cyrillic As A Gift’ with the aim to provide all those who want to use the Cyrillic alphabet on computers with quality typefaces – free of charge. 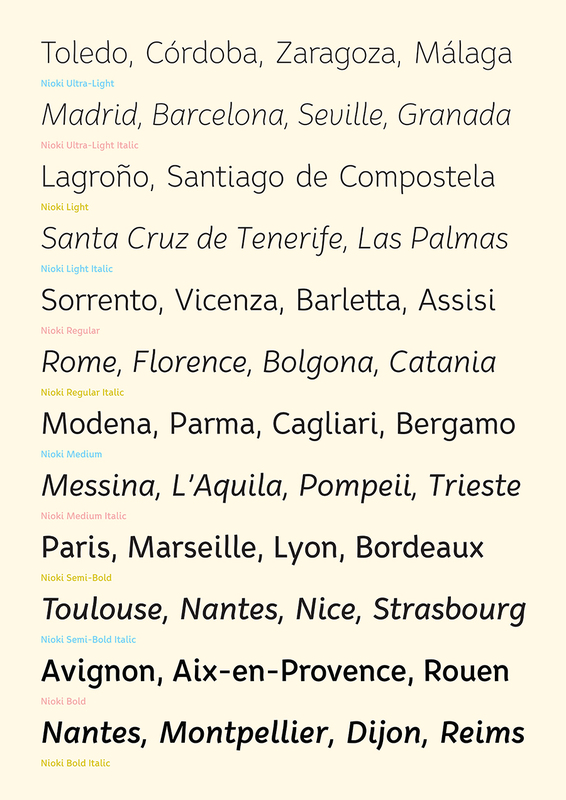 In 2012, my type family Nioki became a part of this wonderful collection. 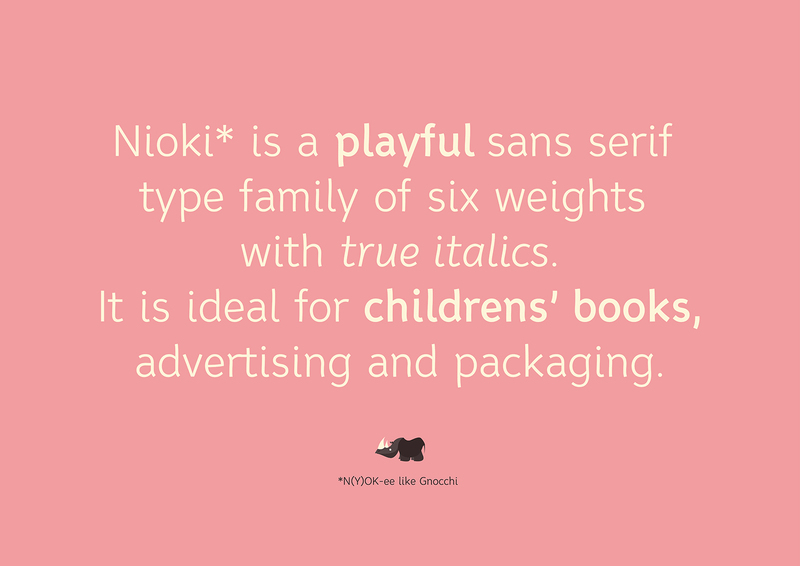 Nioki BG is a family of linear sans-serif fonts, meant for use in larger text sizes. 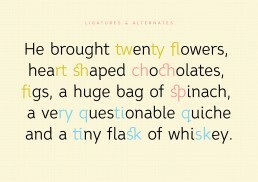 The characteristics of these fonts are subtle curved strokes and protruding terminal endings. 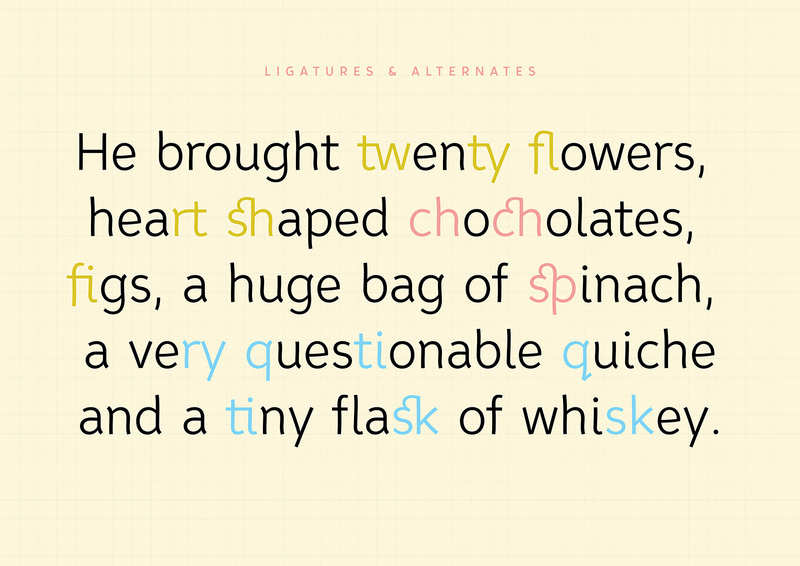 The simplicity of the letter forms suit the needs of contemporary graphic design, and will look great on posters and packaging design, while their playful character makes them suitable for larger sizes in publications such as childrens’ books. 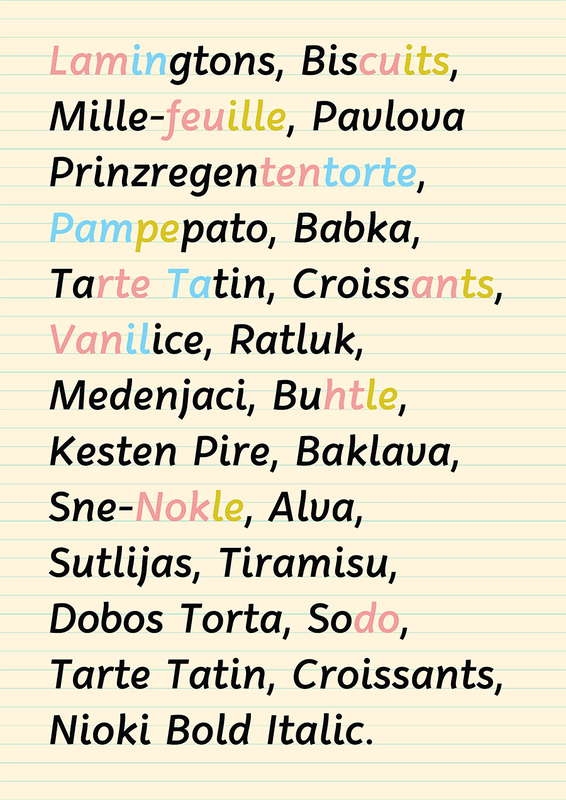 The fonts contain all basic Latin letters and punctuation, as well as letters for the Serbian Cyrillic and Latin. 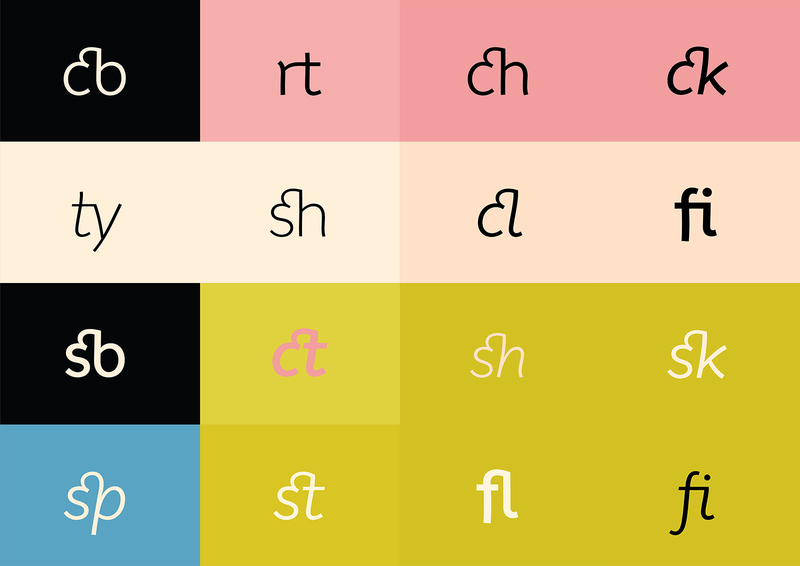 The versions of Nioki which have been made available through this project include the basic Latin and Serbian Cyrillic characters, and are not full versions of the type family (which caters to a larger number of languages) – hence the addition of BG to the name. 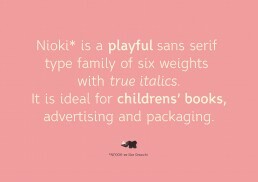 Nioki will soon be released in it’s entirety – with weights ranging from Ultra-Light to Bold. 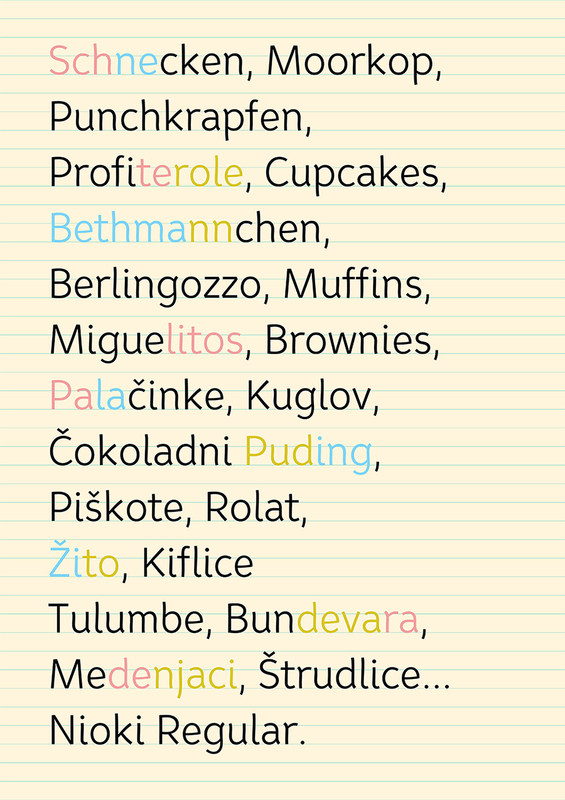 Awarded by Instituto Cervantes, 2013. 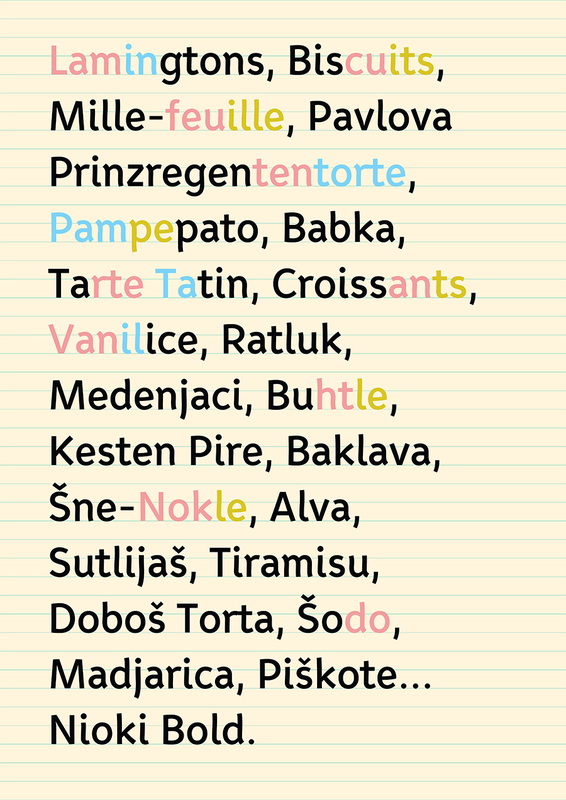 ProjectNioki Type FamilyCategoryType DesignYear2012MentorsOlivera Stojadinovic, Vedran Erakovic, Tomato KosirPurchaseComing soon!